I really wish I could throw out all of my clothing and have a wardrobe full of simple, feminine and comfortable outfits like this. 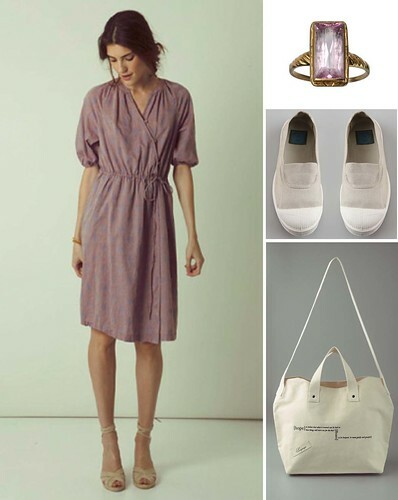 I love the soft tones in the dress paired with the neutral shoes and bag. This outfit would be perfect for a summer evening stroll.